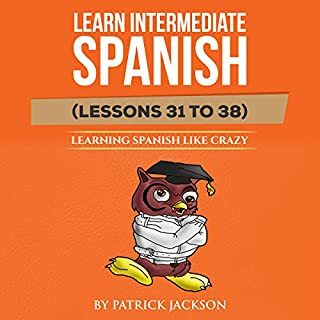 Very helpful for the intermediate Spanish learner. the dictation is clear and slow enough but not too slow. A great resource for building listening comprehension and vocabulary. Learning Spanish Like Crazy will teach you how to speak authentic Latin American conversational Spanish. I have only used native Spanish speakers in this program to make sure you develop an authentic Latin American Spanish accent. The Learning Spanish Like Crazy system puts a major emphasis on improving pronunciation. I found this to be a valuable tool in my Spanish learning toolkit, filling in gaps other programs were missing. I already had a good handle on grammar and vocabulary prior to starting this program. If I didn't have that, I'm not sure this would be as helpful. However, it's really helping to fill in some of my speaking/conversational skills. 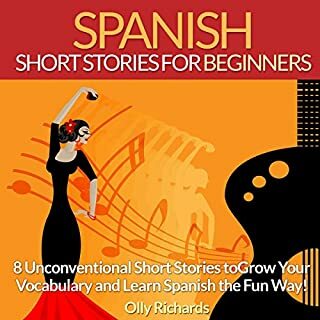 8 Unconventional Short Stories to Grow Your Vocabulary and Learn Spanish the Fun Way! 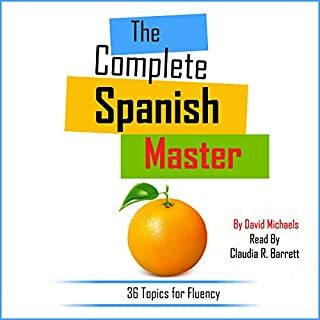 I'm an intermediate Spanish learner and found this VERY helpful in improving my listening comprehension and learning new vocabulary. It was right on the edge of my ability, and challenged me, while giving me a confidence boost. The stories are pretty weird with crazy twist endings. I do agree with other reviews that notes this is more suited for an intermediate learner. In written form, it would probably be great for beginner-intermediate level. But for listening comprehension, there is a lot of vocab and it is narrated fairly quickly.